Regular Immunizations are an important part of good health for people today. Children's Immunizations are just one component of the high-quality pediatric care that the Pinehurst Family Care Center, P.A. doctors provide to Pinehurst, North Carolina residents. Immunizations are needed because they can prevent very serious or even deadly childhood diseases. The American Academy of Pediatrics says that childhood immunizations have lowered the total number of infections due to vaccine-preventable diseases by over 90 percent. Vaccinations have virtually eliminated many diseases that were once very common. For example, polio was once a very common childhood disease in America, one that caused the paralysis and even deaths of many children. Today it is almost completely eradicated. Which Immunizations do Children Need? Children need the following vaccinations to be healthy and prevent disease: Hepatitis A and Hepatitis B (protection from liver disease), Rotavirus (rotavirus is a common cause of diarrhea and vomiting in babies and toddlers), DTaP (protects children from diphtheria, tetanus, and pertussis), Hib (protection from one of the main causes of spinal meningitis), Pneumococcal vaccine (protects children from bacterial meningitis), Polio vaccine, flu vaccine (for all babies and children 6 months and up), MMR vaccine (protection from measles, mumps, and German measles), the Varicella vaccine (protects from chickenpox and related illnesses), Meningococcal vaccine (protection from bacterial diseases impacting the blood, brain, and spinal cord),) and HPV (human papillomavirus) vaccine (prevention of cancer-causing viral infections in adolescents and young adults). In a word, yes. While there are some people who choose not to vaccinate their children, they are taking a serious risk with their child's health, as well as potentially exposing other patients for whom certain vaccines may be contra-indicated to illnesses. Immunizations have been approved by the FDA for use in children and are widely considered the best way to protect children from many serious diseases. 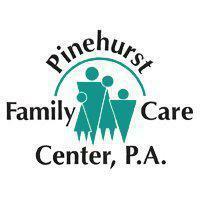 Parents who have any concerns or questions about immunizations should speak to one of the experienced physicians at Pinehurst Family Care Center, P.A. The doctors all believe in putting their patient's health first, and that includes giving honest and reliable information to parents.